It’s time to introduce the Fly Movement challenge where you ‘tell the classrooms they will be competing against each other – hollerrrr! If you’ve ever worn a fitness tracker, but did not have any milestones to reach, then you’d understand JUST how boring wearing one can be. But when you have a clear purpose (reach a daily goal or score more moves then your co-worker), then things get exciting. Thus, this is an exciting new chapter for the kids participating in our creative kids’ health program. Hopefully, you’ve already read Part 1 to this series, So You Want to Launch a Kids Fitness Program. If you haven’t, I recommend you start there as it explains everything you need to do before you launch a program and what to do when you visit the kids in their classrooms the first time. Remember, there aren’t any rules for doing this (okay, well just a few). The goal in your 2nd visit is to introduce the fitness challenge, let the students know how they did against their teacher, and have some fun by playing a fun fitness game. We at Fly Movement also talk to the kids about goal setting where we share one of our goals and what we are doing to achieve that goal. Then we ask the kids what are some of their goals and what their plans are to achieve their goals. Okay, here is how our 2nd visit with the kids typically goes. 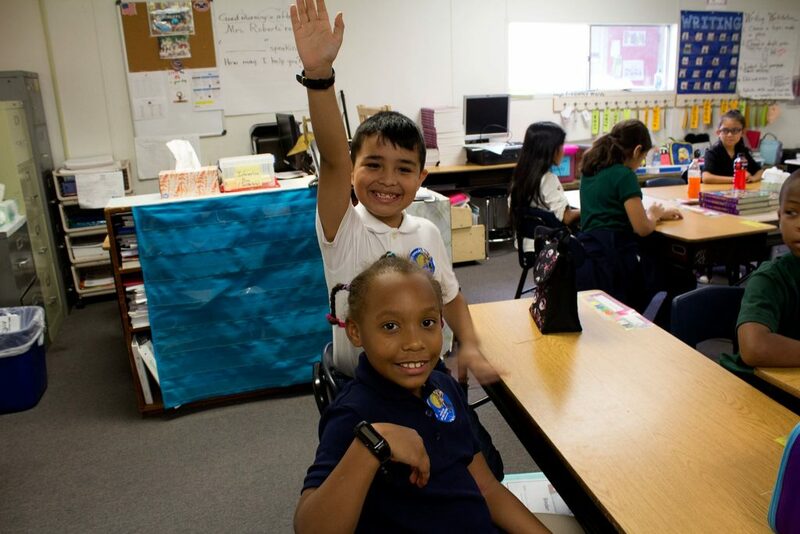 Your 3rd or 4th graders should be excited to see you since you gave them cool fitness trackers on your first visit and led them in a fun game. But still, be energized and motivated when you step into that classroom. How your kids react and engage with you is directly tied to your attitude. So, get energized! For the first minute or two, you can start off by asking how they are doing, how many moves they are generating, if they are wearing their fitness trackers, etc. As you walk to the front of the classroom, just start chatting with them, but don’t talk to them about a game or the Fly Movement challenge yet. Time ~ 1 minute. Talk about YOUR goals first. Kids model what they see. When your students hear you talking about your goals and celebrating your successes, they will want to as well. It might go something like this: “Kids, I wanna tell you about a goal I set for myself this year. I want to visit New York City. So, to achieve my goal I need to save $1,000 so I can pay for my airplane tickets and hotel. (At this point some of the kids might start gasping and repeating One-Thousand-Dollars!) So, for five months, I am going to save an extra $200 every month to pay for my trip. I am doing to do this by not spending money on new clothes, going to the movies, or not buying any new apps or games. And at the end of five months, I will reach my goal and celebrate by going to New York City where I can see the statue of Liberty and Times Square! Time ~ 1-2 minutes. Now you ask the kids what their goals are. Ask them, “Do you have any goals? For example, do you want to save $20 so you can buy a video game? Or do you want to learn how to play a sport? Or what do you want to be when you grow up?” If no one is talking, call on a few students specifically. And then, as they are telling you their goals, ask them, “Do you have a plan on how to achieve your goal? If you want to achieve your goal, you must develop a plan and stick with it. A goal without a plan is just a wish. Putting a plan into action is what’s going to allow you to achieve your goal. So, if for example you want to save $20, your plan might be to ask your parents what you can do around the house to make every money. If you want to read 5 books this summer, your plan might be to read every day for 30 minutes. If you want to go to college and be a Doctor, your plan will be to study hard, so you can make good grades.” Time ~ 2-3 minutes. Okay, so once the game is finished and you’ve given HIGH FIVES to the winners, you can start preparing to exit by heading toward the door. But as you begin to leave, you can say something like, “Oh kids I forgot to ask you, do you think you moved more than your teacher?” (Wait for their response.) “Who wants to know if you scored more moves than your teacher! ?” (Be loud, arouse anticipation and enthusiasm) “Well…. you guys DID average more moves than your teacher! Congratulations! You averaged (insert number of average moves per student here) moves per day while (name of Teacher) averaged x-number. Way to go!” (At this point they should be high-fiving each other and jumping up and down. Continue to say things like ‘Good Job’, ‘Way to Go!’) And of course, this is assuming the kids did score more moves than their teacher. (If they are not enthusiastic or not motivated, it’s YOUR JOB to instill belief in them RIGHT NOW). After some ideas have been shared, now is the time for you to exit the classroom on a good vibe and let them know you will be back in two weeks to let them know how they are doing. If the kids are hollering, jumping, and excited as you walk out the door, then you had a great awesome Fly Movement 2nd visit! As new mentors/volunteers, we always want to know the absolute “best” way of doing everything when leading kids’ program, but try not to over-think it. Cuz the kids’ will instinctively know if you are having a good time and want to be there versus reading or acting out a script that you think is perfect. So just have fun with it ?